What does this mean for you? A new, in-depth method of assessing your gait cycle with a dynamic scan gives your health care provider access to a wealth of information that cannot be obtained with the naked eye. Over a million points of data are recorded, tracking minor flaws in your biomechanics and shedding light on issues that if left untreated, could develop into painful conditions over time. 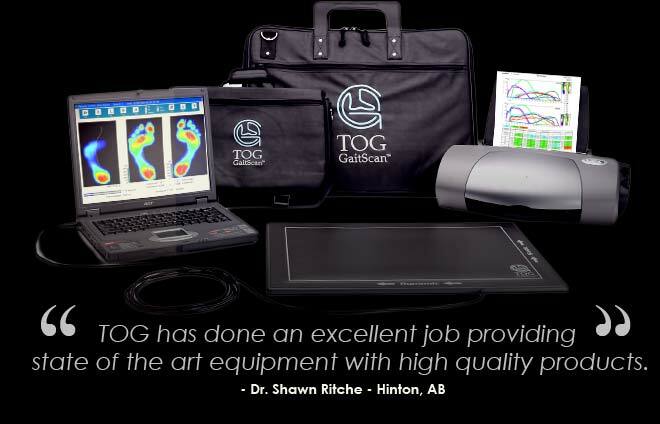 The TOG GaitScan™ is a valuable education tool that provides practitioners with a comprehensive biomechanical analysis for each patient as well as clear, concise images to assess and articulate the need for orthotic therapy. 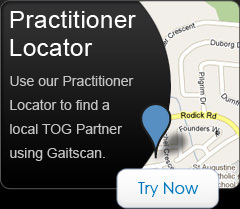 Visit our Clinic Locator to find a practitioner in your area who can assist you in selecting from an extensive list of orthotic types and footwear options available through The Orthotic Group.